Before I lay out the seven building blocks that we need to foster the Indonesia startup ecosystem, let me explain where Indonesia’s tech industry stands at the moment relative to its neighbors. Late last year, I was invited to Korea as part of Dreamplus Alliance. Initiated by Hanwha group in Korea, this is an alliance between 11 accelerators from different countries in Asia to promote startups ecosystem. The idea is to form a global alliance of key regional accelerators and to assist promising startups to reach their dreams on the global stage. After learning the maturity of each ecosystem, I see the difference between each country technology ecosystem and market maturity. China and India clearly are mature ecosystem by themselves, they have the technology, funding, and big market. Most China & India’s players getting into Indonesia is already a winner in their own market. They are either already so big that they can get into Indonesia market by themselves or they will partner with a giant local player in Indonesia, this is similar to many US technology companies like Google, Facebook& Twitter. Since Indonesia mostly only becomes a market, this is where the government can benefit from the tax income. Japan, Korea, and Taiwan are advanced technology countries with a mature market but each has limited size. They have the technology that we need and they need the market to expand. They are Indonesia’s natural partners in which we can obtain technology leadership from these countries and localised it for Indonesia. Some big companies will get into Indonesia by themselves. A good model is to license the IP, know-how, and technology. The best model is doing a win-win partnership through joint venture in which each party will contribute value. Singapore is a country with very advanced technology but no market, so they have to think globally from day one. Most of the Singaporean technology startup will face a big challenge when entering Indonesia since there’s a huge gap between the technology and market readiness. Singapore government has been a very strong proponent for the startup ecosystem, from providing the environment, various funding scheme to the startups, all the way to provide an access to US market by opening an office in US. This makes Singapore aspire to become the regional/global access hub and startup funding in the region, but not for a real scalable market. Thailand and Philippines are quite similar to Indonesia. Vietnam is slightly behind Indonesia while Malaysia is slightly ahead of Indonesia in terms of technology and market maturity. Any technology and solution that is successful in each country can be replicated to another country. This has been a model for some regional player, including aCommercewhich is invested by Ideosource. Then, the collaboration between Indonesia and these other emerging technology countries are about opening each other market for the startup companies to consolidate and become regional players. Indonesia has a vast market, so we can sustain and scale by only targeting the Indonesian market. With 250 million people, it is projected to become the third most populous country behind India and China within the next 20 years. Indonesia’s GDP is $3,500, sits between India’s and China, but it is growing doubled within the past five years. The new government is targeting to increase GDP 5% to 7% by inviting foreign investments for infrastructure and new industries. I believe that Indonesia is the next Startup Nation if we are able to weave all the building block in the industry. Let’s take a closer look at Indonesia current state and how we can contribute making it happen. The first generation of Internet entrepreneurs in Indonesia is mostly successful because of their skills and persistence. 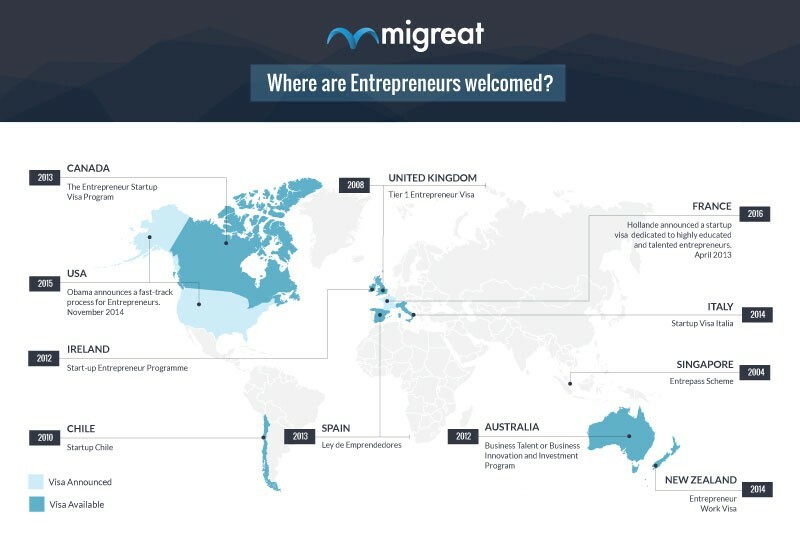 The second generation of Internet entrepreneurs is mostly coming back from studying and work in high tech companies abroad. The third category comes from previous executives working in the global/multinational Internet companies in the region or Indonesia. They have multi-ethnic background and many of them have an investment banking/management consulting experience. Proliferation of ideas and knowledge comes from the diaspora and interconnectedness of people. Many of the brightest minds are educated at Western universities and working in global/multinational companies. When they go home and quit from the job, they take both knowledge and contacts. They start new companies and creating an interconnected network that is closely related. Global accelerators and venture capitals have identified this and they are actively investing into these founders. Bringing the diaspora back and encouraging them to start companies in Indonesia will inspire knowledge and technology transfer. With the Indonesian digital industry growth, there is a big need to capture the best talent not only from Indonesia, but from other countries as well. By attracting exceptionally skilled immigrants, they can bring new knowledge and create jobs within the local economy. It’s new businesses that are going to create new jobs, and there are certain policies that need to be in place for that to occur. William Tanuwijaya from Tokopedia plan to hire a lot of engineers in India, Vietnam, and China to keep up with the company growth and to get a faster knowledge transfer from the global talent. In order to maintain Indonesia to become innovative and entrepreneurial nation, policymakers need to take steps to attract more highly-skilled entrepreneurial foreigners and global talents to Indonesia. This is not about opening Indonesian market for global players, but inviting entrepreneurs to use Indonesia as a base to serve the global market. Bali is a new fast growing startup scene that people are surprised by. By embracing the international talent like what have been done in Bali, we might be able to repeat the story of Walter Spies, Antonio Blanco, and John Hardy in the art world. The fastest way to capture the international market is inviting the one that understand that market themselves. Bandung & Yogyakarta have been homes to various developers community, and naturally some international companies have established a production team in these cities. This will encourage for transfer of knowledge for Indonesian talent. It is estimated that 2.6 million Indonesians will enter higher education in the next decade, due to Indonesia’s economic growth, political stability, demographic changes and rising education levels. But there are only 36,000 students or 1% of Indonesia’s total students?—?currently study abroad. The need for internationalization is essential, so a greater number of Indonesians are equipped with wider perspective and global mindset. Australia and US are the most popular study destination for Indonesians. China, Malaysia, Singapore, Germany and Japan are some of the favorite destinations. But the real contribution to the Indonesian economy will happen when we can invite the best talent back to Indonesia. Learning from China, the government initiated the Thousand Foreign Experts program, which is designed to attract up to 1,000 foreign academics and entrepreneurs over the next 10 years to help improve research and innovation. Under the program, successful candidates will receive a subsidy and research allowance. This program proved to have successfully brought the best talent back to China. On the other hand, the total number of international students studying in Indonesia is only about 3,000 students. Internationalization of higher learning in Indonesia would result in the increase in flow of ideas, attitudes, values, technology, economy and people across borders?—?all necessary responses to the impact of globalization. The fastest way to attract international students and bringing this standard into a higher education is by partnering with established universities in Australia and US, as done by Singapore, Malaysia and many other countries. Now it is the right time for internationalization of higher education, research and innovation in Indonesia. Indonesian labour market is characterised by a high level of youth unemployment since the vocational education and training currently doesn’t match the requirements of the industry. An interesting idea mentioned by Andrias Ekoyuono, VP Business Development of Ideosource, that with the extensive workforce, Indonesia can become the next BPO(Business Process Outsourcing) and KPO (Knowledge Process Outsourcing) service provider like India and Philippines. The work for BPO vary from data entry, medical transcription, content writing, software programming to HR and financial services. KPO focuses on knowledge and information related activities that include legal services, intellectual property and patent related services, engineering related services, web development, CAD/CAM applications, business research and analytics, legal research, clinical research, publishing and market research. To help achieve this, the government should commit on skilled and vocational education. Credits from community colleges should be transferable to a university, thus offering graduates opportunities to further their vocational training at a higher level. Indonesia should export its skilled workforce for the global market by focusing in technical and vocational education. A startup by nature have a very high mortality rate considering that they are still exploring their offering and business model. Most startups fail. That’s why grants and CSR money is the best models in an incubation stage. The cost of delivering the investment, incubate the company and exploring to get an initial traction is higher than the potential return on investment. Incubation program is risky and mostly won’t provide a good ROI from the program, so CSR fund from various state-owned or public companies is the best to be used as an incubation program. Venture capital investing by nature is also a risky investment, the higher the risk, the better the return. Some of the risks include a high failure rate because of entrepreneur’s lack of experience, getting into a market that is too early, creating an offering that doesn’t scale and a very limited exit for the investment. We have seen this in the early dot-com bubble in early 2000. The partnership between the government and private venture capitals has been implemented by various countries such as Singapore and Taiwan. Indonesia’s tech minister follows this model and aims to raise about US$1 billion to help develop Indonesia’s digital startups. Referring to the article at Kompas.com, Rudiantara mentioned that the VC is not state-owned and can be privately owned who passed through the government selection. It sounds good that the government trying to support the digital industry, but do we need the government involvement? What we need the most is a more open investment policy, not the funding itself. The 100 million USD investment on Tokopedia has been been a major news and it creates positive investment environment in Indonesia. Looking into the market growth and investment inertia, we are going to see a billion dollar investment within 3 years. Foreign direct investments from Korea and Japanese investors have been here in Indonesia as early as 2011. Recent investment is done by Chinese giants. Global players like Rocket and Naspers have been actively investing from 2012. Funds dedicated to Southeast Asia are focused on Singapore & Indonesia as major investment potentials. There are enough funding for the tech industry and the trend is growing at rapid pace even without the government support. Indonesia’s conglomerate group has been investing in the digital space like Djarum through GDP Venture & Merah Putih Incubator, Kompas Gramedia through direct investment and Skystar Capital as their investor’s personal vehicle, Bakrie through direct investment and venture capital, Salimpartnering with Rocket through PLDT, Sinarmas through its own venture capital and Ardent, Emtek mostly through direct investment, Lippo through its venture capital and direct investment. Ciputra group provide entrepreneur support through GEPI program. Most telco companies also committed sizable investment in digital space as shown by Telkom, XL Axiata and Indosat. With the support from local investors, Ideosource believes in investing the best Internet companies and the brightest founders. We have invested in many Indonesian-theme companies, including Touchten, Saqina, Orori & FemaleDaily. Beside e-commerce and digital media, Ideosource is committed to invest in disruptive and innovative startups like fintech and Internet of things. Indonesia is infamous for its unfriendly bureaucracy for processing a business permit and unwelcoming regulations for foreign direct investment. The President promised that this will become a thing in the past and have launched a one stop service when it comes to foreign direct investment. But Indonesia still needs to improve a lot when it comes to an ease of doing business. As a popular figure, the President and member of its executive team, seemed too easy announcing controversial issues. As quoted in the media, they mentioned that the government would protect local online businesses from overseas acquisitions, which turned out to be not true. I would highly recommend the government to work on a good PR in helping their communication strategy and consistent message to avoid confusion among the business stakeholders. When it comes to startup, we need a change on the existing regulation when accepting foreign direct investment. The regulation needs to open if we want to foster the culture of innovation. To encourage an investment friendly environment and regulations, my partner at Ideosource, Edward Ismawan Chamdani, indicated that the government needs to provide incentive for the investors like capital gain tax waiver, friendlier law to allow different classes of shares to protect investors, and other financial/tax/legal programs to incentivize investors to setup their funds and investment in Indonesia instead of offshore. And there are some controversies towards a regulation in the e-commerce space as the government announcing the negative list of investment. This list specifies sectors of the Indonesian economy in which foreign investment is prohibited or limited. Currently the Indonesian government closed the foreign investment in business selling directly to the end users. William Tanuwijaya, Tokopedia’s CEO expect that the government would create a conducive ecosystem rather than focusing on local vs foreign investors issue. Indonesia’s market value of the broadband business is growing more than double due to a high Internet adoption. However, Internet penetration remains sluggish, with only 20% Internet penetration rate compare to 40% in Thailand and 90% in Singapore. This is the biggest homework for the government if they are serious on building the Internet ecosystem. Indonesia spent 1% of its GDP on infrastructure in 2009, compared with its Asian neighbours China (8%), South Korea (2.5%) and between 3- 6% for countries such as Singapore and Malaysia. The President pitched to the global leader at APEC forum on investing in Indonesia. One of the agenda, the sea toll road, is a maritime program that may reduce the country’s logistics costs by 10 to 15%. Currently, between 18 and 22% of companies’ production costs in Indonesia are absorbed by logistics costs, particularly due to expensive transportation costs. In the regional, this figure is below 10%. Between 2014–2017, there will be additional 8 seaports, 2 airports, 8 railways, 5 power plants and 11 water supply and waste treatment. 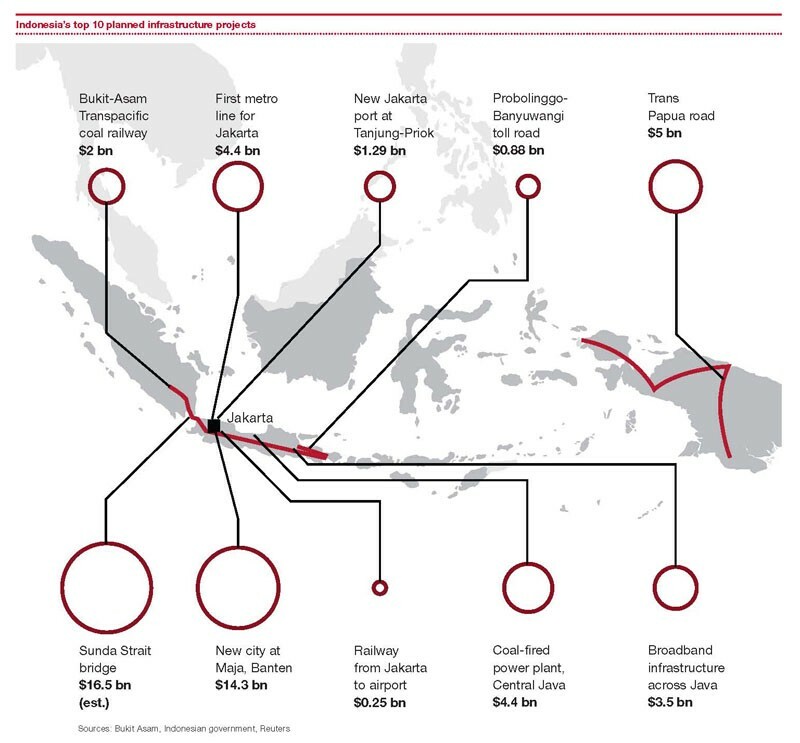 By building these infrastructures, Indonesia will surely enhance its access and distribution. Indonesia has a low level of digital money infrastructure and adoption. The World Bank Global Financial Index of 2011 measuring financial inclusion indicates that in Indonesia only 19.6% of the adult population has an account in a formal financial sector. In 2014, the number of credit card users in Indonesia are around 8 million unique users with 15.8 million cards. This is still a big challenge for digital adoption. The thriving mobile sector of Indonesia opens up a door for mobile as an alternative-banking infrastructure able to offer accessible, simple and affordable financial services even in remote areas. But mobile telco is not proven to provide financial services, as they have a historical precedent on abusing the mobile content charging. And since they don’t have ATM, the e-wallet solution offered by the telco is not easy to be cashed-in. Out of many solutions offered in Indonesia, Mandiri E-cash stands out as the most disruptive solution for digital money. It is a debit system linked to mobile phone numbers rather than bank accounts. Users deposit funds at e-cash agents, usually shops or kiosks or transferring from existing bank accounts. The funds can then be drawn upon for transfers and payments, after mobile phone authentication. Even without the need to open an account in the bank, you are able to withdraw the cash at Mandiri ATM. Large scale adoption is still the biggest challenge for the e-money. The key driver for the e-money adoption comes from unexpected source, the Indonesian government. After stopping the soaring burden for fuel subsidy, the government is giving a direct cash subsidy to the underprivileged people called BLNT (direct non cash subsidy). BLNT is distributed through electronic money as an effort to reduce the cost of distribution, avoid potential loss and educate citizens about the use of electronic money. Targeting 15 million underprivileged people by the end of 2015, Indonesia will become the second biggest mobile money users in the world after Kenya. With the digital money adoption, it gives an immediate benefit to connect this solution with other digital payment ecosystems including remittance, e-commerce and many others. We can mark this is the dawn for Indonesia as a cashless society. In one inspiring discussion with Peng T. Ong, the Managing Director of Monk’s Hill Venture and co-founder of Match.com, he mentioned about the spirit of nationalism grow among Indonesia. We see the spirit of nationalism, that we care about ourselves, our future, and our nation. We see the new generation of leaders emerge, making people believe again in the government and how it can bring the best for the people and the nation. When everyone believes in one thing, great things happen. We will see Indonesia thrive and become a great nation. A new startup nation. Andi S. Boediman is the Managing Partner of Ideosource venture capital.